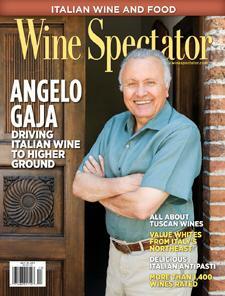 Angelo Gaja is a tireless innovator. When he joined his father in the family winery in 1961, they had 52 acres of vines, all in Barbaresco. Today, the family firm controls 567 acres in Barbaresco and Barolo in Piedmont and the Brunello di Montalcino and Bolgheri regions of Tuscany. Wine Spectator's Bruce Sanderson reports on the Italian legend.